Eugene Stanley Yuzak passed away suddenly at his home on Tuesday, January 15, 2019 at the age of 72 years. 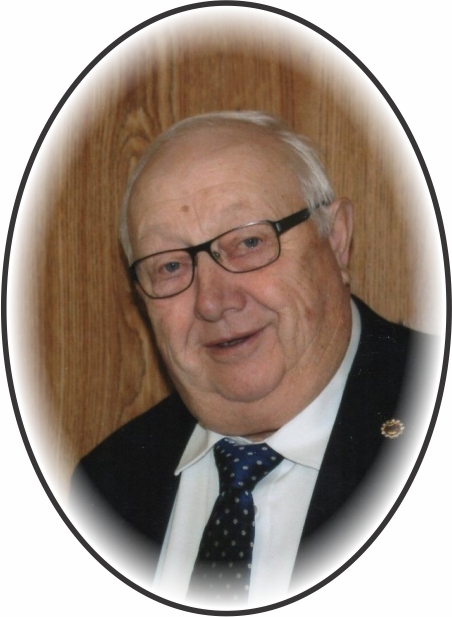 Eugene leaves to mourn his passing and cherish his memory, his loving wife of 47 years, Victoria (nee Kotlar), his children: Terrance (Ann) Yuzak of Cudworth, SK, Richard (Alicia Morin) Yuzak of Smuts, SK, Karlynn Yuzak of Saskatoon, SK and Belinda (Armand Hounjet) Yuzak of Star City, SK; his grandchildren: Alex, Ona, Stasia, Dayle, Dominic, James, Nathan, Juliane, Coleton, Hailey and Myah; his great grandchild Neil; his “Pet Children” Swiper, Marty, Bo, Turbo & Patches; his siblings: Ann, Raymond, Jean, Elsie, Sonia, Donald, Irene, Joseph, David and their spouses; his god mother Sally Hilkewich; as well as several nieces, nephews, relatives and friends. Eugene was predeceased by, his parents Bernard and Lillian (Tchorewski), his in-laws Augustine and Audrey (Boyenko) Kotlar, his brother-in-law Walter Pogue, his nephews Benjamin and Jeffrey Yuzak, his niece Sadie Klein and his godfather Bob Zadworny. The Mass of Christian Burial will be celebrated at St. Michael’s Roman Catholic Church in Cudworth on Saturday, January 19, 2019 at 10:30 a.m. with Rev. Fr. Colin Roy as celebrant. Cremation will follow with Interment of the Urn at the St. Michael’s Roman Catholic Cemetery. Donations in memory of Eugene may be directed to Prostate Cancer research or to the Cudworth Knights of Columbus. Funeral arrangements have been entrusted to Marc Blondeau of Kushneryk Funeral Service, Wakaw, SK, 306-233-4403. To send flowers to the family of Eugene Stanley Yuzak, please visit our Heartfelt Sympathies Store.